Otay Mesa Commercial Real Estate | What's going on in the marketplace. The City Council Tuesday voted unanimously to bring a modified version of the former redevelopment process back to San Diego, likely starting with a special district to fund infrastructure projects in Otay Mesa. Redevelopment — which funneled increases in property tax revenues toward paying for capital projects — was abolished by the state nearly six years ago. Since then, local officials have been looking for a new source of funding infrastructure upgrades and construction of affordable housing. The state legislature responded in 2015 by authorizing Enhanced Infrastructure Financing Districts, which would fund projects in a roughly similar manner. The council’s action was to establish a public financing authority that will hold a hearing later this year and then decide whether to create the district. The council also set in motion a process to inform property owners in the rapidly growing South Bay community of the city’s intention to create such a district. Councilman David Alvarez, who represents the area, noted that an EIFD was the best chance to narrow a large difference between infrastructure needs and funding in Otay Mesa. The district would pay for things like road work, parks, a new police substation, libraries, and water and sewer projects over a 45-year period. No locality in California has formed an EIFD so far, but a couple are close to adopting them, according to staff. Stockbridge may be best known for owning the Hollywood Park site in Inglewood, to where St. Louis Rams owner Stan Kroenke is trying to bring an NFL team. 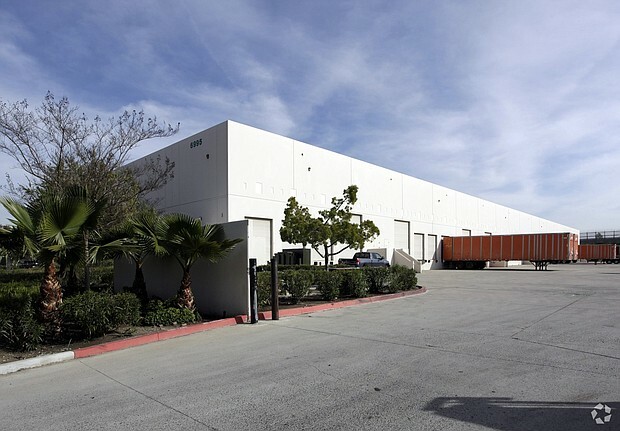 A Stockbridge entity known as Stockbridge San Diego Industrial LLC acquired 13 buildings and a vacant parcel within five Otay Mesa business parks. As noted by Eric Parker, a CBRE (NYSE: CBG) senior vice president, the buildings are within portions of the Border Point Business Park, Otay Distribution Center, Otay Crossings Business Park, Faraday Industrial Park and San Diego International Center. Stockridge Capital could not be reached for comment for this article. The seller of the Otay Mesa properties was a unit of TA Associates Realty of Newport Beach. A majority stake in that multi-billion firm was acquired by The Rockefeller Group for an undisclosed sum at the end of 2014. The buildings occupy a total of about 53 acres, while the vacant parcel is about 45,000 square feet. The buildings are located at 2695 Customhouse Court, 10025 Siempre Viva Road, 2325- 2375 Michael Faraday Drive, 2350 Marconi Place, 8780-8830 Siempre Viva Road, 6987-6995 Calle del Linea and at 6754-6794 Calle de Linea. The buildings range from about 33,000 square feet to about 153,000 square feet. The portfolio is reportedly 91 percent leased. R.L. Jones, a customhouse brokerage firm, occupies the entire 153,000 square feet at 8830 Siempre Viva Road. That lease is in effect until July 2017, according to The CoStar Group (Nasdaq: CSGP). The 111,644-square-foot building at 2695 Customhouse Court is nearly completely occupied by U.S. Joiner, according to CoStar. U.S. Joiner is a major manufacturer of interiors for major oceangoing vessels. Darren Mullins, a DTZ broker who specializes in industrial properties, said Stockbridge picked an excellent time to purchase. The vacancy in Otay Mesa was 21 percent (with more than 3 million square feet empty) in 2000, Mullins said. “Today that vacancy is about 10 percent,” Mullins said, adding that about 1.5 million square feet of vacant industrial space remains on the mesa. 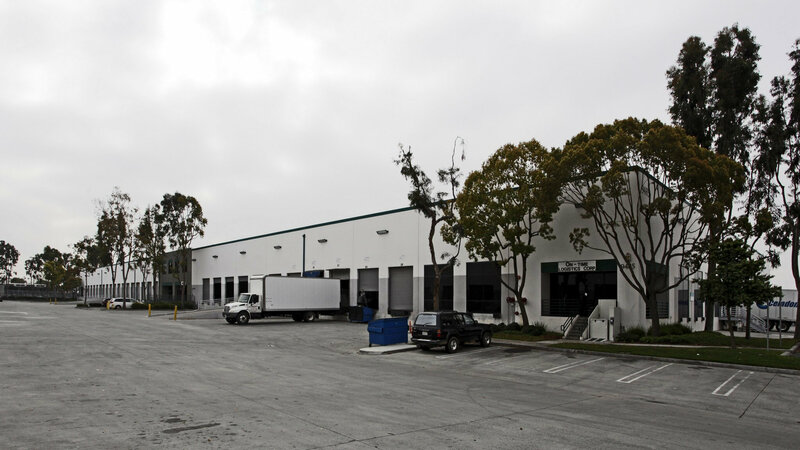 Stockbridge Capital has an ownership stake in numerous other industrial and office properties in San Diego. Its assets include the Scripps Summit properties in Scripps Ranch, and two buildings totaling 225,000 square feet on Scripps Summit Drive and Scripps Summit Court. In Vista, Stockbridge owns a 202,000-square-foot building on Viper Way occupied by Directed Electronics. The investment firm also owns a roughly 45,000-square-foot building along Mesa Rim Road in the Sorrento Mesa area. By CoStar’s accounts, prior to this latest acquisition, TA Associates Realty had ownership interests in 48 buildings in 31 properties from the border to Carlsbad. Other buildings were TA has an ownership interest in San Diego County include the 106,189-square-foot 2020 Camino del Rio North Plaza at the same address in Mission Valley, the 133,079-square-foot Carlsbad Executive Plaza office complex in the 2100 block of Palmoar Airport Road, the 93,000-square-foot flex building on at 2765 West Loker Ave. in Carlsbad, and more than 123,000 square feet of industrial space on Mata Way in San Marcos. TA Realty previously owned the 161,184-square-foot Genesee Executive Plaza in the 9300-block of Genesee Avenue in San Diego. Stockbridge and its joint venture partner sold the propery in late 2014 for $72 million. In fall 2011, the two-building campus was sold to the joint venture for $46.8 million. At of the end of last year, TA Realty had a $12 billion portfolio of ownership and management assets comprising 77.2 million square feet, plus another 14,600 residential units located in 35 markets nationwide. An entity recorded as Stockbridge San Diego Indl Ll has acquired an Otay Mesa industrial property for $6.5 million ($121.34 sq.ft. ), according to CoStar Group and public data. The seller of the 53,568-square-foot property, at 6995 Calle De Linea, was Otay Mesa West 69 LLC. The property was constructed on 2 acres in 1999 and was fully leased at the time of sale, with tenants including Eurotec Engineering Inc. and Suarez Brokerage Co.
Two retail centers and two vacant parcels near the second San Diego border crossing in east Otay Mesa have been sold for $8,946,000. The properties were the 2.24-acre, 39,888-square-foot Plaza Mayor at 2493-2495 Roll St. and 9660 Via De La Amistad for $6.16 million; the 25,591-square-foot Otay Crossroads at 2445-2455 Otay Center Drive for $2.68 million, and a pair of vacant pads totaling 1.41 acres on Otay Center Drive, north of Siempre Viva Road, for $110,000, all in San Diego 92154. The buyer of Plaza Mayor was Plaza Mayor LP, with Kroeger Properties LLC as the general partner, 1679 E. Main St., Suite 104, El Cajon 92021. That acquisition was financed with a loan of $3.64 million from San Diego County Credit Union. The seller (assessor’s parcels 646-180-09 and 18) was 2495 Roll Drive LLC, with Navid Moshtaghi as a member. The buyer of 3.91-acre, 25,591-square-foot Otay Crossroads was Otay Crossroads Plaza LP, also with Kroeger Properties as general partner. The seller (646-144-05) was PI Properties No. 9 LLC. Otay Crossroads Plaza also acquired the vacant lots for $110,000 from PI Properties No. 23 (646-144-01 and 02). Moshtaghi was the member of both PI Properties. The centers have a combined occupancy of 79 percent, according to the brokers. Vic Gausepohl and Kirk Allison, of Colliers International, represented the sellers. Jim Carmichael, of Century 21, represented the buyers. A partnership of TriGate Capital LLC and Lotus Real Estate Partners LLC have acquired a 102,520-square-foot industrial building in the Otay Mesa submarket of San Diego for a reported $5.03 million or $49.06 sq.ft. 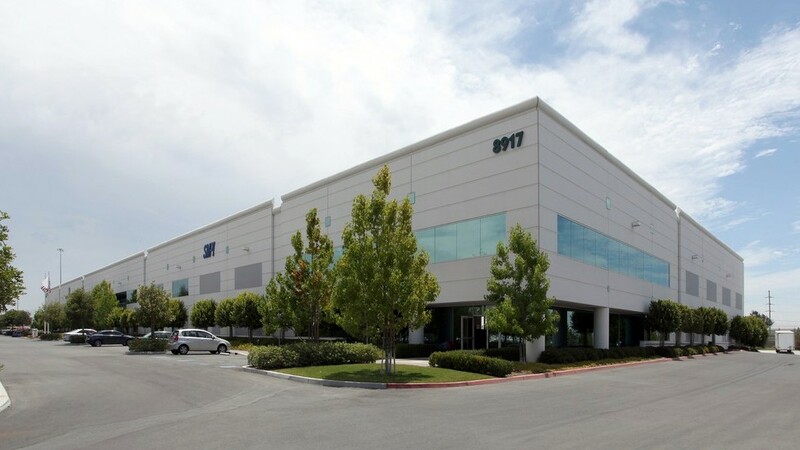 The property, located at 9485 Customhouse Plaza on Otay Mesa, was initially purchased from a unit of Clarion Partners for $4.63 million by Horoy Inc., of Rancho Santa Fe, with Daniel Homan as its agent in late September. Horoy then sold the property to the Trigate/Lotus partnership for the $5.03 million the following day. Brian Walker, managing partner for Irvine-based Lotus Real Estate Partners, said the joint venture has entered into a seven-year lease valued at $2.5 million with Horoy allowing the furniture moving and storage company to lease back 57,681 square feet or 55 percent of the building. “The Otay Mesa building represents a continuation of our investment strategy to acquire well-located industrial and office properties in Southern California where we have the ability to add value through repositioning, development or proactive management,” Walker said. The building is 100-percent occupied, with other major tenants being On-Time Logistics, 30,808 square feet; and Phase II Products, 14,415 square feet; occupying the remaining space. The one-story property features 42 loading docks, eight drive-in doors and a 24-foot clear height. The Customhouse Plaza building is located in the nine-building industrial park in of the same name. The Lotus/TriGate purchase is the second acquisition by the joint venture which closed its first transaction last spring in Long Beach. The joint venture plans to invest approximately $60 million in office and industrial value-add opportunities throughout Southern California over the next few years, with Lotus serving as the operating partner for the joint venture. Jay Henry and Jason Obenhaus were the Dallas-based TriGate executives leading the transaction. “This acquisition will allow the joint venture to establish a foothold in a rapidly improving submarket at a very compelling cost basis,” Obenhaus said. Jeffrey Chiate with the Irvine office of Cushman and Wakefield represented Lotus/TriGate in the acquisition — with Stephen Dunn from the Romar Co. in Rancho Santa Fe, representing the seller. Grading has begun for a major business park on Otay Mesa, one of the major changes in the San Diego/Tijuana region. Improvements on both sides of the border were discussed at an Urban Land Institute breakfast Tuesday at the University Club. Kaitlin Murphy, Murphy Development executive vice president and partner, said grading has begun on the 3 million-square-foot Brown Field Technology Park even though The CoStar Group reports that there are still more than 1.8 million square feet of vacant industrial space on Otay Mesa. However, Murphy Development president and Kaitlin’s father, R. Michael Murphy, said that the vast majority of the vacant space to which CoStar is referring is at least 25 years old and functionally obsolete. The new development, next to the 155-acre, 2 million-square-foot Brown Field Industrial Park, will be built on 50 acres on both sides of Interstate 805. Kaitlin Murphy said opportunities at Brown Field Technology Park will range from 50,000 to 2 million square feet and that build-to-suits will be the first projects up. Each of the business parks, whether on the U.S. or Mexican side of the border, stands to benefit from shorter border crossing times. James Clark, executive director of the San Diego-Tijuana Smart Border Coalition, cited a 2012 Border Research Partnership study that border wait times were costing the United States $8 billion annually. Jason Wells, San Ysidro Chamber of Commerce chief executive, agreed the impact is huge. “Some 53,000 jobs were lost [annually] due to border wait times. If you have 90 out of the 200 people in your business not knowing when they are going to be able to arrive, that’s not going to work,” Wells said. Until last month, wait times of more than two hours were a regular occurrence. With the addition of 34 lanes at the San Ysidro Port of Entry at a cost of more than $700 million, it’s not uncommon now to get through the line in 15 minutes. “People had stopped going because of the wait times, along with the requirement to have a passport,” Clark said. Wells said that while great strides are being made to improve the wait times for motorists, the pedestrian-crossing facilities have not kept pace. Although not everything is happening as Wells would like, he is encouraged that the cross-border terminal allowing people who live in the U.S. to access international flights from Tijuana’s Rodriguez Field is finally under construction. The 65,000-square-foot, $120 million terminal is scheduled to be complete in summer 2015. Clark said people not only have been missing out on easily getting on a plane at Rodriguez Field, but they have also been missing out on a huge chunk of commerce. Clark said that each year, Tijuana buys more than $13 billion in manufacturing components outside of California that are driven south through San Diego. “If we got 10 percent of this business, that’s $1.3 billion,” Clark said. Kaitlin Murphy, who noted that between 1 million and 2 million people are expected to pass through the new terminal each year, said she is hopeful the second Otay Mesa border crossing may be open in 2017 or 2018. In the meantime, Murphy said the 800 acres of Brown Field Airport and its environs will also see enormous changes. “New retail, hotels and industrial are planned around the [fixed-base operator of the airport],” Murphy said. Murphy said people shouldn’t forget the thousands of housing units that have been built on Otay Mesa — providing Otay Mesa’s employees with an easily accessible place to live. Thousands more units may yet be built. Murphy said investors have noticed that Otay Mesa is up and coming, as evidenced by San Diego-based R&V Management’s $150 million purchase this month of the 644-unit Greenfield Village Apartments on western Otay Mesa. Clark said not only will Otay Mesa continue to provide housing for its workers, but The Corky McMillin Cos.’ eventual 3,000-unit Millenia development in Chula Vista will also provide housing for Otay Mesa workers. Conversely, Greg Shannon, who is developing multifamily housing in Tijuana, said the city has always been a draw because of its affordability, especially today. Westcore Properties of San Diego has purchased a vacant 104,180-square-foot industrial building in Otay Mesa for $6.7 million, or $64.31 sq.ft. Westcore officials said the seller of 8917 Kerns St., was Dominion Investments/ C&W of San Diego. Ron Bement and Philip Roberts, of brokerage company Cushman & Wakefield Inc., represented the buyer and seller. Constructed in 2006 near the Otay Mesa Port of Entry, the building formerly housed the North American offices of Kojima America but is currently vacant. Kojima used the facility to manufacture back panels for plasma and LCD televisions. Officials said the building was originally developed as a build-to-suit project for Kojima by Murphy Development, with a development team that included Hack Adams, now a senior vice president with Westcore. The privately held Westcore was founded in 2000 by Chairman Marc Brutten and invests primarily in industrial and office assets. The company has U.S. regional offices in San Francisco, Oakland, Sacramento and Denver, with two European offices.